Friday 26th January – Gold coin entry! There’s nothing like live music, free activities and a thrilling taste of what Spirits of the Red Sand is all about. 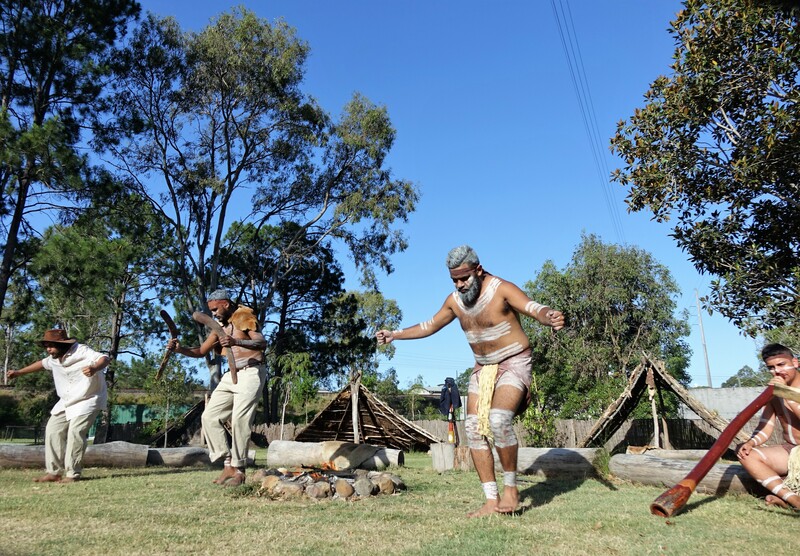 Come along to Beenleigh Historical Village, the location of Spirits of the Red Sand, this Australia Day for an awesome family day out. This is Australia Day with a twist – both Australian and Aboriginal cultures will come together to share our nation’s history. You’ll get to experience the story of Australia through all the senses. Live demonstrations by the blacksmith, school, fire truck, lolly shop, washerwoman & wood carver. Visit the Art Gallery – Get painted up Aboriginal style and then learn how to paint – take home your own piece of art! Interactive games for the kids. Live excerpts from Spirits of the Red Sand – expect thrilling live theatre demonstrations dotted around the village. ©Copyright Great Australian Experiences 2019. Tourism Websites by Maverick Digital.